Summer is a good time to enjoy the cultural variety and the landscapes present in the different holiday destinations listed on the agenda of those travelers who year after year wish to take advantage of the long awaited tandem between rest and good weather. The high temperatures make outdoor leisure offers become the most demanded options, along with those that allow the increasingly demanding travelers to immerse themselves completely in the traditions of the territories visited. Galicia has a festive modality in which the two previous premises perfectly converge: its gastronomic celebrations . From north to south, there are a multitude of localities that, taking advantage of the good weather and the greater influx of visitors, bring to light the most characteristic products of their gastronomy, some of which have the Protected Designation of Origin . These are some of the festivities that the most curious palates will be able to savor during July. The fishing village of Mugardos, located in the region of Ferrolterra, will celebrate the twenty-seven editions of its most emblematic celebration, declared as a Festival of Tourist Interest by the Xunta de Galicia. What is special about this gastronomic day? The product known as ‘Pulpo a la Mugardesa’, a recipe in which octopus, the most illustrious cephalopod of the Galician gastronomy, is cooked in a kind of stew made from potatoes, peppers, tomatoes, onions and garlic. The gastronomic offer is accompanied by the performance of traditional music bands and the privileged views of the Ría de Ferrol. 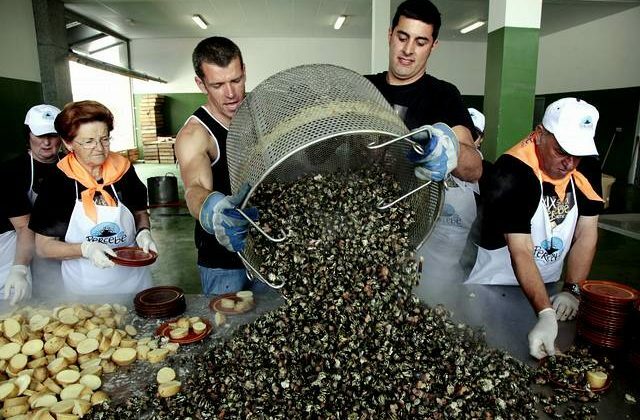 Declared also a Festival of Tourist Interest, the celebration that in the locality coruñesa of Corme realize around the percebe is a must appointment for the travelers who look for to delight itself with one of the most coveted products of the Galician sea. The party will celebrate its silver anniversary this year, a quarter of a century in which they have not missed the tributes to sailors and dead shellfish. Music, gastronomy and parades merge in the heart of Costa da Morte. This fair, which takes place in the parish of Parga, belonging to the municipality of Guitiriz(Lugo), combines the local handicraft, made with granite, with its typical dish: tripe. Attendees will enjoy the demonstrations of stonemasons, as well as exhibitions of products and events throughout the day. The municipality of O Barco de Valdeorras(Ourense), famous for being located in the area of production of the characteristic came under the Denomination of Origin Valdeorras, will hold on July 15 and 16 the twentieth edition of a fair whose organisers expect to increase the participation of wineries in relation to the previous editions. 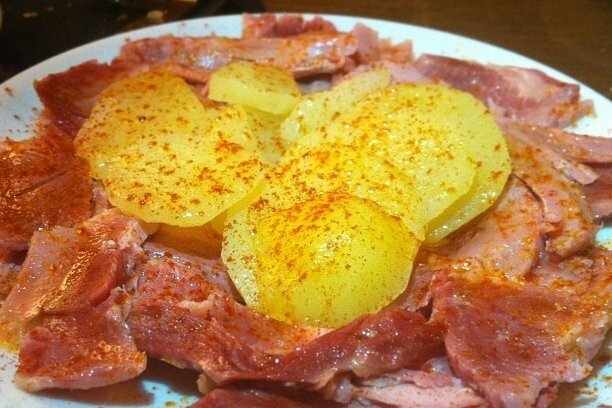 The Plaza da Feira Vella of the municipality of Silleda (Pontevedra) will be impregnated next July 7 with the succulent smell of its shoulder ham, a product that will share prominence in this occasion with nine others products present in the different gastronomic celebrations celebrated in this locality throughout the year. Thus, a day before the great day of the fair, on July 6, from 8.30 pm, attendees will be able to enjoy the free tasting of products such as the Breixa’s chestnut or the Cortegada’s paella. Also declared as a Festival of Galician Touristic Interest in 2013, this celebration offers diners a wide variety of dishes made with one of the most precious molluscs of the Galician sea, the scallop. The party, which receives more than 50,000 visitors each year, installs the tasting area in the park of A Calzada of Cambados. The gastronomic exaltation is accompanied by sports competitions and exhibitions. The parish of Carnés, located in the town of Vimianzo(A Coruña), promotes each year its most typical dish, tripe, while offering varied musical performances and religious ceremonies honoring San Cristóbal, San Benito and the Virgen del Carmen. This feast, of Galician Touristic Interest, was recovered back in 1981 although it enjoys a more extensive history that continues present in some of its current activities.